PensionBee, the UK’s leading online pension manager, has launched a non-advised drawdown service within the PensionBee Personal Pension. The drawdown product compliments PensionBee’s core service of helping savers to combine multiple pots into one online pension account. From a customer’s perspective, it is much easier to draw down a pension when it is in one place, as savers need to keep much closer track of their tax-free allowance, annual contribution allowance and lifetime allowance. PensionBee’s drawdown area becomes accessible in their online platform (the BeeHive) shortly before the customer turns 55. The customer can choose to withdraw their 25% tax-free lump sum or another £-based amount. The objective is to give customers full transparency over their pension and demonstrate how easy it is to draw down, should they wish to. 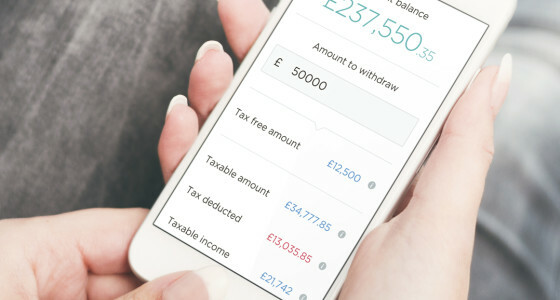 PensionBee’s drawdown product automatically calculates the tax due on a £-based withdrawal. Other features include interactive risk warnings that appear at the right moment in time and name-bank account validation to protect customers. Over the longer-term, PensionBee’s drawdown product will function like a bank account, with savers easily drawing down lump sums as the need arises.